The 21st century is blurring the border between consumers and producers, as well as between advertisers and consumers. The Social Media phenomenon shows that properly utilized community potential can bring enormous benefits. Therefore, IdoSell online stores have the opportunity to benefit from the potential of bloggers, YouTubers and their current customers in order to engage them in promoting your e-business by offering a chance to participate in the affiliate program. The affiliate program, otherwise known as affiliate marketing, is a model of cooperation of an online shop with influencers (i.e. bloggers, content publishers), where in exchange for promoting your store in (the social media, blogs, YouTube, forums) and winning the order, you pay the partner a commission. This model of promotion is very profitable for the store. Payments are made in the PPS (Pay-Per-Sale) model, so the store pays only for the effects. In addition, the affiliate program is a long-term promotion, and when you establish a partnership with a well-known blog, you are guaranteed hundreds of new unique visits a month. The affiliate program is next to AdWords one of the best ways to drive traffic to a store, giving you huge benefits without the heavy workload. It is worth adding that the stores using the affiliate program are gaining more and more orders. What are the features of the IdoSell Shop Affiliate Program? Uber, the most popular ride system, gained a huge popularity thanks to the discount codes mechanism. Each user had a discount code, which enabled his friends to get $10 off the first pass. The user also gained a discount. This technique called Growth Hacking Marketing has greatly helped Uber in promoting worldwide. You can now apply the same technique in your online store using discount codes in the affiliate program. A partner who wishes to withdraw funds from a commission, simply commissions a payment. You see a list of all payment requests in the panel. Such a list will make it possible for all partners to receive payment. With the dedicated Affiliate Program statistics module, you can check the effectiveness of all partners with the ability to sort them. Partner activity is also visible in the Conversion and cost-effectiveness analysis. It may happen that the customer will visit your store from the partner's recommendation, but ultimately will not buy anything. Then they will go back to your shop eg. from the price comparison site. You can also limit the commissioning of partners from orders of already acquired customers to motivate them to attract new customers. In either case, you can decide if your partner should receive a commission by configuring your affiliate program accordingly. Once logged into the panel, the partner has the access to statistics, accrued commissions or discount codes. In the panel, the partner can prepare links to recommendations, as well as generate ads. In addition, partners can commission the commission payments onto the voucher or in cash. Allows you to pay partners their commissions, for example, only after 14 days of charging, to avoid paying commission for the order that can be returned. After returning products, the system will reduce the partner's balance by the commission they received for returned product. Toy can change the affiliate program settings so that the partner receives commission in the form of points in the loyalty program, which can be used while purchasing in your online store. 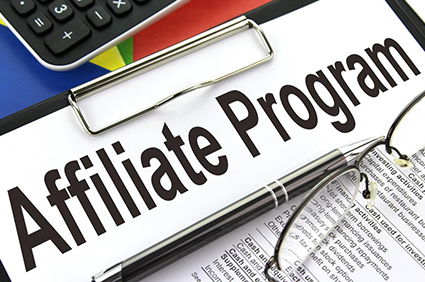 The IdoSell Shop affiliate program allows you to create a one-level affiliate program (only commissions for customers who have acquired the order directly) and multi-level affiliate program (multi-level marketing). All parameters of the affiliate program are managed and freely configurable through the administration panel. You do not offer the affiliate program? Be sure to find out how to launch the Affiliate Program in your online store and see the Frequently Asked Questions (FAQ).